Aromas of apple pie with buttered crust, savory herbs, summer plum and sun dried linen. On the palate, soft sumac flavors hang on a frame of grippy tannin. The finish juicy and persistent with wet stone, sea salt. James Cummins, our partner and friend, grew the Northern Spy in our 2015 Northern Spy Cider. A sixth generation orchardist, James is a proponent of large, full size apple trees. Northern Spies are considered a large, vigorous tree and on a standard size rootstock in a deep gravelly loam soil, they are impressive beings. To everyone who knows James, he is a larger than life person: the Lorax who speaks for the earth, a reader of the stars, he claims to talk to the trees. Northern Spy is his favorite apple. And it is worthy of his adulation: a seedling discovered in East Bloomfield, New York, south of Rochester, it is very much a northeast apple – our very own. 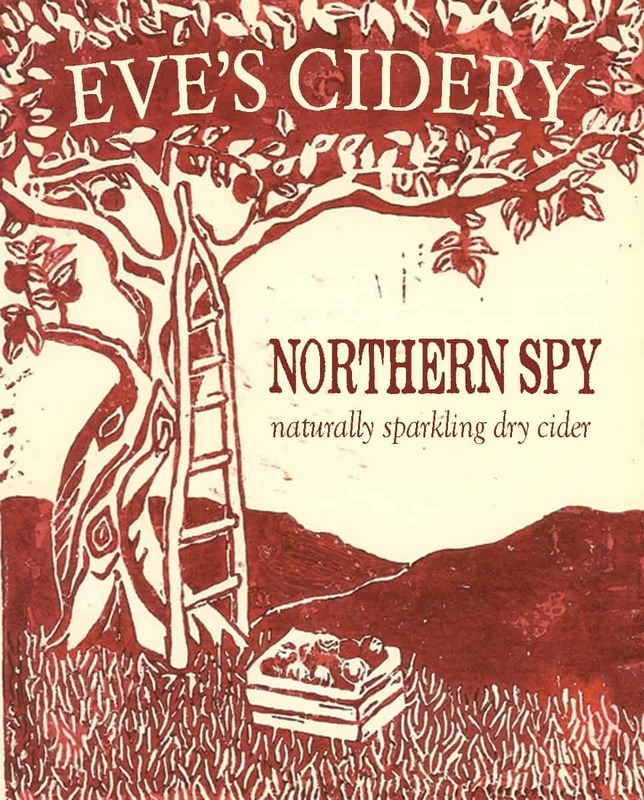 Northern Spies are known for having a fair amount of acidity, which makes them interesting as a cider apple. But not much is written about their tannin content, which is above desert fruit and helps to make them worthy of a single variety cider. James claims that there are hundreds of variants of Spies and he has the best. Whether it is this, or the site or our cultural practices (pruning technique, no irrigation, no chemical fertilizers or herbicides, only organic certified pesticides), James’ Spies are always the most intensely flavored we have ever tried.